The Twin Cities Daily Planet invites you to our fifth annual “Pick of the Market” dinner on Sunday, September 21 at 6 p.m., at the Grand Cafe, 3804 Grand Ave. S., Minneapolis. “Pick of the Market” will be prepared by the Grand Cafe’s very talented new chef, Andrew Kraft, sous chef Nathel Anderson, and their culinary team. 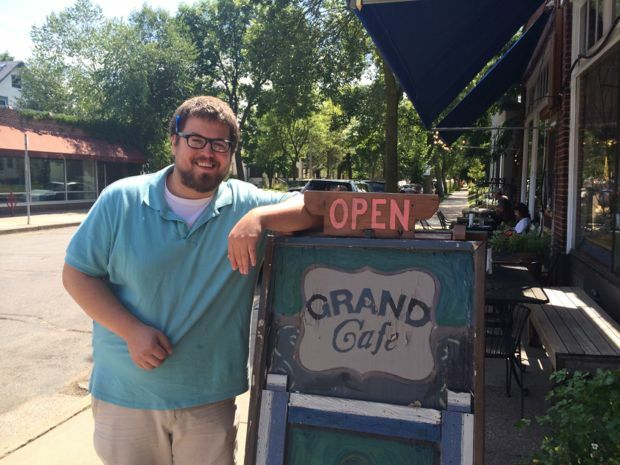 Andrew, who will be starting his new position at the Grand Cafe next week, has an impressive culinary resume: A graduate of the Culinary Institute of America, he spent nearly 10 years working in top kitchens in New York City, before returning to his native Minnesota. His work as chef at Manhattan’s Osteria Cotta and 6th Street Kitchen earned him a profile in Saveur magazine. Since his return, he has held the top job as chef at Birdhouse and King’s Wine Bar. This year’s dinner will again include a “meet and greet” starting at 6:00 p.m., featuring a variety of meats, cheeses and vegetarian items to nibble on while you socialize. Beyond great food, this will be a great chance to meet other Daily Planet readers, reporters and staff members. We’ll also have a silent auction, featuring items donated by local merchants and supporters. If you would like to donate an item or service to our auction, you can submit an auction donation form online at bit.ly/TCMAAuction. Or just email me at jeremyiggers@tcdailyplanet.net. Last year’s dinner sold out quickly, so sign up early to guarantee a seat. (Please allow a minute for the page to load.) If you prefer a vegetarian entree, please specify when you purchase your tickets. The cost? Only $45 per person for TC Daily Planet members; $55 for non-members, including three courses and a couple of glasses of wine. (A selection of wines will also be available for purchases.) Gratuity is not included. Click here to go to our secure registration page. (Please allow a minute for the page to load.) To become a member, please go to www.tcdailyplanet.net/donate, or make a donation when you purchase your ticket.